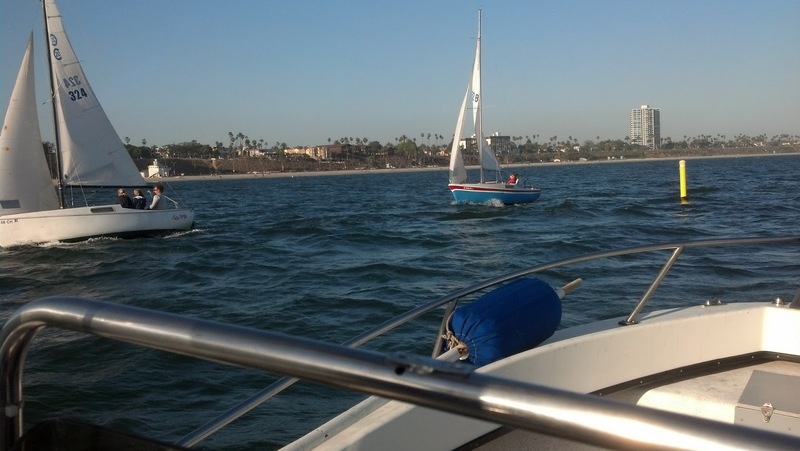 The first race of 2013 in the Cal 20 - Taco Tuesdays series is in the books. As a fitting kick-off the competitors faced 12+ knot winds at the start which held most of the race. Congratulations to Mike Schachter on Kate for taking the win with his crew of Richard Larson and Brett Allred. A big thank you to Kathy Landers for her creativity in the production of the awards. As always she produced an unusual and interesting design that any sailor would love to have in their trophy case! Lastly thanks to John Sears for joining me on Race Committee. Racing is about the sailors that get out and pound around the course but without the RC that functions in the background, it wouldn't be possible. First Taco Tuesday Cal 20 race is here!